Oregano, wild marjoram, or Origanum vulgare is an herb native to Europe, the Mediterranean region and southern and central Asia. Oregano, wild marjoram, or Origanum vulgare is a herb native to Europe, the Mediterranean region and southern and central Asia. The potent herb has historically been used for a multitude of dishes, like tomato sauces, lamb, cruciform vegetables, and pizza. Oregano is full of nutrients and antioxidants that make people not feel too bad, as they indulge in their guilty pleasures. Here are the 7 health benefits of oregano. 1. Oregano may be anti-inflammatory. Oregano oil has shown to be soothing to many types of internal and external inflammation. Redness and irritation decreased when oregano oil was applied on the skin. Also, the same effect appeared throughout the body when consumed. 2. Oregano may fight bacterial infections. Oregano showed very strong anti-bacterial effects against Listeria monocytogenes, Salmonella typhimurium, and Staphylococcus aureus. 3. Oregano is loaded with antioxidants. 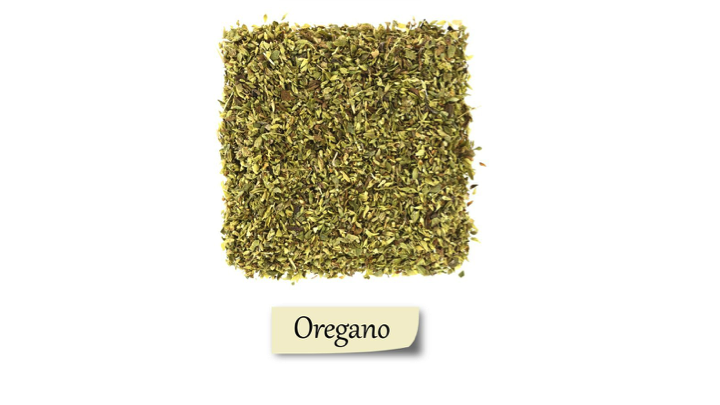 Oregano contains phenols, an antioxidant that eliminates free radicals from the body. Free radicals are known to handle aging, wrinkles, loss of vision, nervous disorders, and cancers. 4. Oregano may help with healing wounds. A study performed at the Gazi University suggests that Hypericum perforatum oil and sage and oregano essential oils may have some healing properties on the skin in rats and mice. 5. Oregano may be beneficial for women. The National Research Centre in Dokki, Cairo suggests that oregano can reduce her symptoms of oncoming menopause, including mood balance and hormonal shifts. Also, oregano can delay the onset of menopause. 6. Oregano may be beneficial for type 2 diabetics. Oregano leaves showed to benefit diabetic rats by lowering the blood sugar levels of consumption. Scientists theorize this as promising results to fight type 2 diabetes. 7. Oregano may hold anti-cancerous properties. Oregano contains a chemical called carvacrol. Recent studies suggest that carvacrol inhibits the growth of many tumors. Lemhadri, A., Zeggwagh, N. A., Maghrani, M., Jouad, H., & Eddouks, M. (2004). Anti-hyperglycaemic activity of the aqueous extract of Origanum vulgare growing wild in Tafilalet region. Journal of ethnopharmacology, 92(2), 251-256. Omer, E. A. (1999). Response of wild Egyptian oregano to nitrogen fertilization in a sandy soil. Chun, S. S., Vattem, D. A., Lin, Y. T., & Shetty, K. (2005). Phenolic antioxidants from clonal oregano (Origanum vulgare) with antimicrobial activity against Helicobacter pylori. Process Biochemistry, 40(2), 809-816. Ocana-Fuentes, A., Arranz-Gutierrez, E., Senorans, F. J., & Reglero, G. (2010). Supercritical fluid extraction of oregano (Origanum vulgare) essentials oils: anti-inflammatory properties based on cytokine response on THP-1 macrophages. Food and Chemical Toxicology, 48(6), 1568-1575. Süntar, I., Akkol, E. K., Keleş, H., Oktem, A., Başer, K. H. C., & Yeşilada, E. (2011). A novel wound healing ointment: a formulation of Hypericum perforatum oil and sage and oregano essential oils based on traditional Turkish knowledge. Journal of ethnopharmacology, 134(1), 89-96. Zeytinoglu, H., Incesu, Z., & Baser, K. H. C. (2003). Inhibition of DNA synthesis by carvacrol in mouse myoblast cells bearing a human N-RAS oncogene. Phytomedicine, 10(4), 292-299.